This is my fist post on this forum and I'm pretty new to it all. I am currently planning to make a small pneumatic line launcher that can launch roughly a 1 to 2 lb (.45kg to .9kg) projectile with a pretty light kevlar line approximately 45 feet (13.7meters) . Ideally the entirety of the launcher would not be longer than 8 inches. I'm looking for some advice and general suggestions. Finding this forum gave me a great amount of archives to look through and plenty of designs to begin with. My initial idea was to utilize a QEV design with a small footprint. The projectile would sleeve over the barrel rather than a traditional "muzzle loaded" approach. 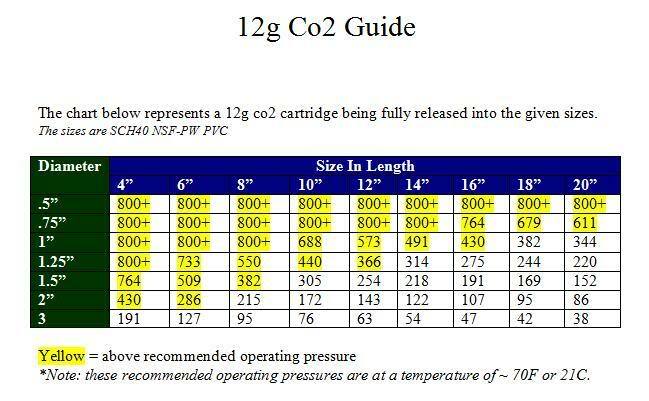 I would like to use Co2 cartridges possibly 12 to 20 gram as the main air source rather than a conventional air compressor. With some of the QEV designs I've looked at they tend to utilize a mechanical triggering system ( ball valve, air gun trigger, exhaust hand slide valves, etc) I would like to use a solenoid or have a way of having the qev triggered with the means of electrical switch. With the design thought out a bit, it just leaves me wondering how to correctly calculate the specifics of the design.How much stored pressure would be needed to meet the requirements? What size Co2 cartridge should I use? How much pressure can be generated with just the Co2 cartridges? These are just a few questions that I have but I think it would be best to just get this idea out there first and get some feedback from the Spud Community. The first suggestion would be to master the use of Gas Gun Design Tool to get an idea of what is feasible, although modelling the drag of the kevlar line would be a little hard. The projectile would sleeve over the barrel rather than a traditional "muzzle loaded" approach. Sort of like a 20 cm leichter Ladungswerfer spigot mortar? That means you're going to need relatively high pressure in the barrel to make it work. With some of the QEV designs I've looked at they tend to utilize a mechanical triggering system ( ball valve, air gun trigger, exhaust hand slide valves, etc) I would like to use a solenoid or have a way of having the qev triggered with the means of electrical switch. 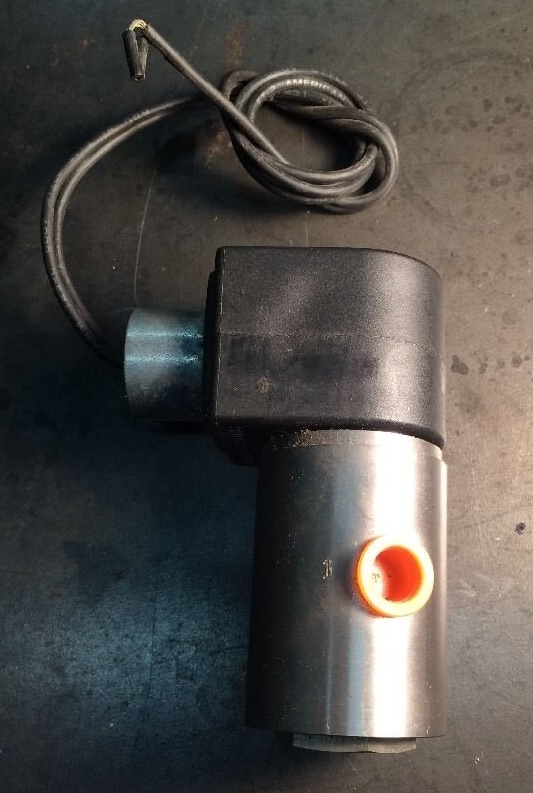 If you have a look around eBay there are plenty of solenoid valves available at a reasonable price that could be used to pilot a quick exhaust valve. The length restriction suggests that an over-under configuration would be the best. This ignores the line drag but suggests that your 45 foot goal is feasible within the parameters described. A smaller volume chamber keeping the gas at higher pressure will result in better performance, for example with a 1.5 inch diameter chamber of the same length and the pressure at just over 500 psi, the velocity in the model jumps from 51 feet per second to 76 feet per second, which more than doubles the range. The downside is that construction would have to be much stronger to keep the pressure in, with cheap and easy PVC tubing not being an option. 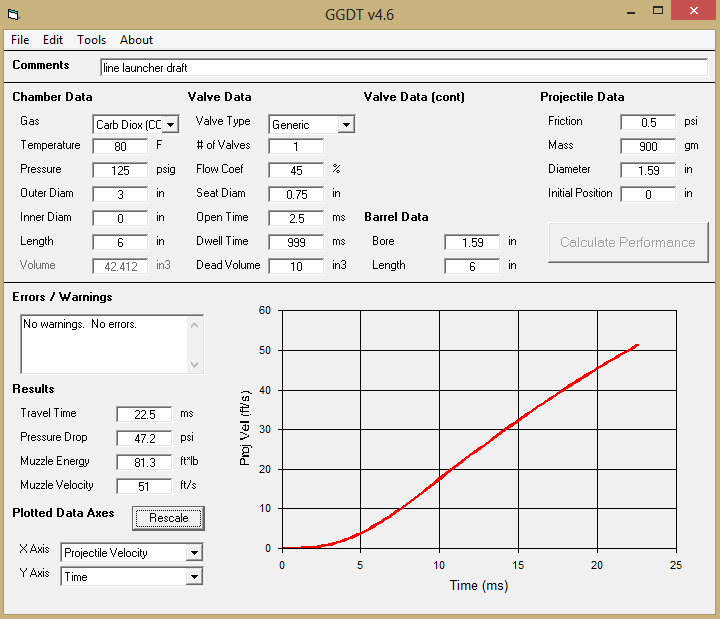 I'll be using the GGDT shortly. It looks like a great program. 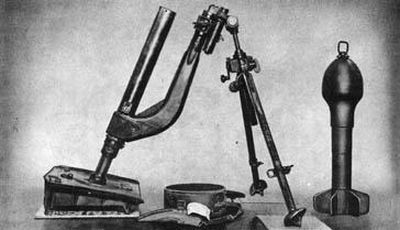 Yes, sort of like the Leichter Ladungswerfer it would sleeve over the barrel. I agree the design would be an over-under configuration to save on space. Also just thinking about function, how do 12gram Co2 paintball pistols function and at what pressure? Clearly they've got the design down pretty good. Liquid co2 powered launchers all function at the vapor pressure of c02, about 800 psi. Most bb and pellet co2 guns have tiny hammer valves. Paintball might have a spool valve but mine all had hammer valves. It's an interesting project. 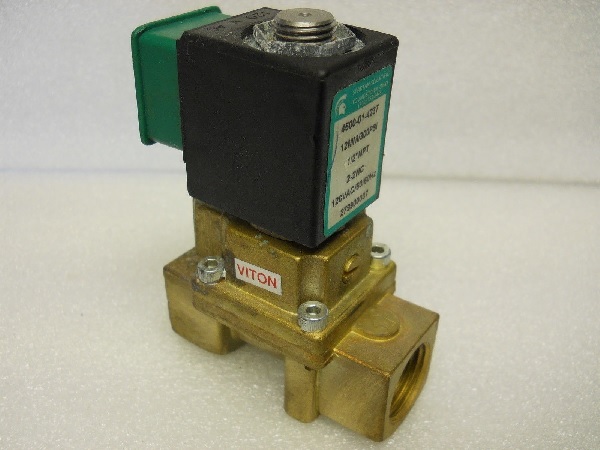 If you can't find a strong valve you need a large reservoir and barrel to run more volume at low pressure. The only valves I have access to (can afford) with 500 psi ratings are ball valves. With a short barrel you need to open it fast. Would Type K copper piping be able to withstand almost 300psi? OK for pressure, but copper is also a very good conductor of heat and CO2 is temperature sensitive, so I would factor in some insulation too. Also I can't seem to find any solenoids or QEV valves that operate at this high level of pressure. What would you suggest for working at this pressure? While nominally having a lower rating, they can safely take 300 psi or so. They're moving smaller projectiles at higher velocities so not really applicable to your case, in order to achieve the performance you're after dumping an entire 12 gram cartridge per shot seems like it will be necessary. The operation is at the full 800 psi + from the CO2 cartridge, but a hammer valve would be a complex undertaking that takes up more space. 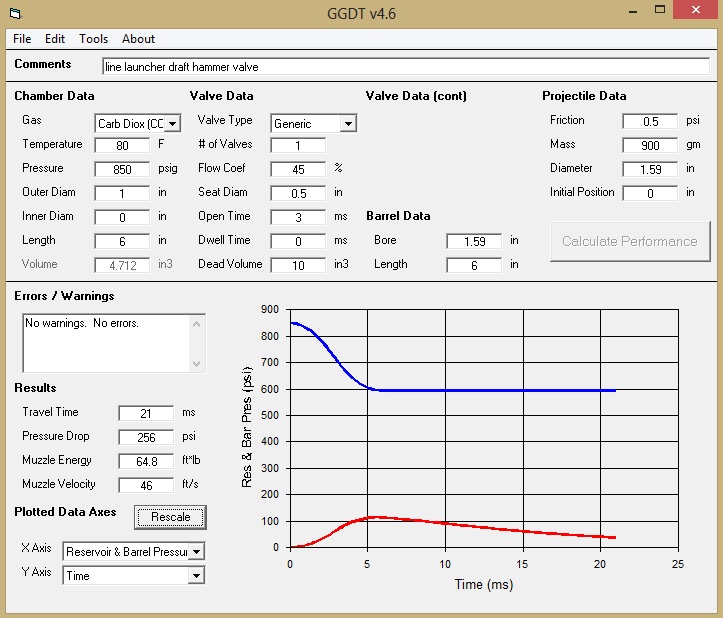 I modeled a hammer valve with a 1/2" seat in GGDT and it seems like it should give you at least two or three useful shots but again, you're not going to find off-the-shelf parts and it will take up a larger envelope. If you have access to a lathe and mill it would be conceivable to design and build this and use a solenoid as a hammer, but this would demand a substantial voltage so you're adding the size and weight of batteries and capacitors and the electronics to control them to your setup. 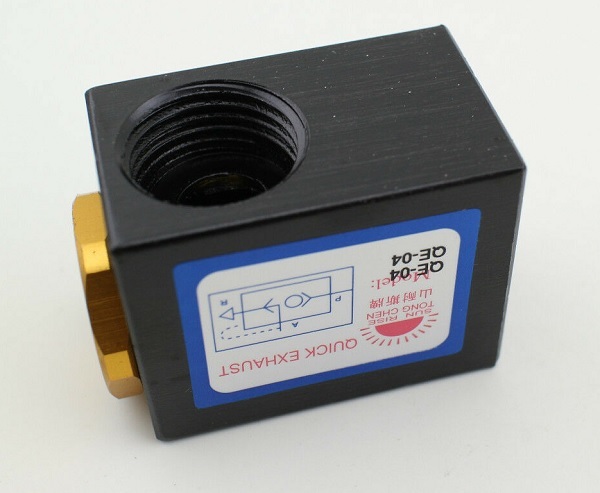 eBay dimensions should be taken with a pinch of salt, for example the thread diameter might be approximately 1/2" and it will be called a 1/2" valve, when in fact it's a 1/4" NPT valve. Is it possible to make my reservoir in a U shape instead of having a straight singular tube? I could then do an Over-under design with the reservoir and decrease my pressure because the volume is increased, correct? To get roughly 300psi I would need to use 10" of 1.5" diameter pipe, so if I were to use two sections of 5" 1.5" diameter pipe I would achieve the same volume within my 8 inch size constraint. Also I currently have an 18v dc power supply on the apparatus that can power a solenoid valve. I also have access to a lathe and a mill. at 300psi would brass connectors be appropriate? Genadmm wrote: Is it possible to make my reservoir in a U shape instead of having a straight singular tube? I could then do an Over-under design with the reservoir and decrease my pressure because the volume is increased, correct? To get roughly 300psi I would need to use 10" of 1.5" diameter pipe, so if I were to use two sections of 5" 1.5" diameter pipe I would achieve the same volume within my 8 inch size constraint. Technically you'd be generating more turbulence but in practice it's not going to affect the performance that much. You would definitely need a balanced valve, I used one in my latest build. If they are suitably rated, yes. Currently have brass fittings on our 4500 psi nitrogen tanks. The question to ask yourself is whether you will go for a relatively easy build using mostly off-the-shelf parts that will dump a 12g CO2 capsule for every shot, or go for a more complex build with custom parts and a bit of R&D that will be more efficient. I mostly use these brass fittings, they are rated at 800psi. Anything you get should have a working pressure rating.